Puerto Vallarta, on the Pacific coast, is one of Mexico's top resort destinations. In town, in the ocean, or in forest, there's plenty to entertain visitors. Boardwalks in town are worth a stroll to see sculptors and artisans at work. On the water, active visitors enjoy snorkeling, diving and kayaking, and less active guests can to get on boats to spot whales and dolphins. Thrill seekers head to the jungle for zip lining and bungee jumping adventures. With something for every travel style, it's no surprise that this town on the Pacific coast of Mexico is also one of the country's top destinations for weddings, honeymoons, and vow renewals. With a gorgeous ocean bay and mountain views, an outdoor ceremony is guaranteed stunning photos. Couples must provide valid passports and an original and copy of birth certificates annotated and translated by an authorized translator certified in Spanish. Death and divorce decrees are required if applicable. ** Check with a wedding specialist to confirm up to date requirements. Civil ceremony: In Mexico, as in many other countries, you aren't legally married unless you have a civil ceremony at the Mexican equivalent of the Registrar General's Office. You need to plan ahead – at least four months before your planned wedding date - and the result will be a legally registered marriage. Spiritual wedding: Spiritual weddings can take place in any of the breathtaking locations in Puerto Vallarta, and officiated by a person of the couple's choice. Some couples legally get married before at home, or have both civil and spiritual ceremonies in Mexico, and some prefer to share a spiritual wedding in this beautiful destination without the legality of a marriage license. A church ceremony is one option for a location for a spiritual wedding especially for those who won't feel truly married without a religious blessing, but remember, only civil ceremonies are registered legal marriages in Mexico. Palladium Vallarta Resort & Spa is in a magnificent setting, surrounded by lush vegetation and with a private, 300m beach front extending on the Mexican Ocean. The resort was uniquely built to integrate into the natural surroundings and reduce impact on the local vegetation and wildlife. Combined with its Mexican design, the resort offers all the refinements of an international all-inclusive resort with a local authenticity. You and your guests will be able to choose between the family-friendly, all-inclusive experience, and the Royal Suites Punta Mita, an adult only exclusive hotel for those guests who want to enjoy privacy and tranquility with luxury services. Options for the location of your dream wedding ceremony range from a religious ceremony in a charming, colonial Chapel, to a clifftop terrace wedding overlooking the Caribbean. The Riu Vallarta is a low-rise, all inclusive property in Riviera Nayarit on Playa de Flamingos beach overlooking the Pacific Ocean. Amenities for your guests include 4 restaurants, 5 bars including a swim up bar in one of its 2 pools with jacuzzis, plus a children's pool, gym and sauna. Your group can also enjoy the spa, outdoor activities and assorted water sports, with horse riding, cycling and golf nearby for the entire wedding party and guest list. There's an on site wedding coordinator who lets you enjoy a tropical vacation while making sure your special occasion runs smoothly, and their wedding packages offer religious, civil/legal, as well as spiritual/ symbolic exchanging of vows. The Riu Jalisco is also located on Flamingos Beach in the Riviera Nayarit, about 9 minutes from Puerto Vallarta. This property has undergone a $12 million renovation, including updated décor in its 700 rooms - designed with families in mind to ensure multi-generation families attending your special day will all have an ideal travel experience – as well as at its five Mexican and int'l restaurants, six bars, pools and Jacuzzis, a kids pool and play area, gym, steam, sun terrace and spa. This is also an all-inclusive resort.Like the Riu Vallarta, on site wedding coordinators take the pressure off organizing local details, and the resort offers a range of ceremony options for every style of wedding. Getting married at the Friendly Vallarta Beach Resort and Spa means you'll have the services of a professional event planner and a team of wedding specialists who focus on making sure your special day is enjoyable and memorable for you and your guests. There are 5 spaces available to host your ceremony, able to accommodate up to 600 attendees. Venues range from elegant ballrooms to a more rustic beach setting for the celebration or reception. Catering and dining includes not just private banquets on the beach or canapés and cocktails, but also a multi-course tasting menu option.This property provides options for both civil and spiritual ceremonies. The Crown Paradise Club Puerto Vallarta is a beach front resort designed with multi-generational family travel in mind, including an infinity pool, two zip lines, a central pool, and a kids area with a water park with a pirate ship, castle, 9 water slides, an outdoor area for family games. This all-inclusive property offers a la carte specialty restaurants for dinners, snack bars and bars, and rooms that can accommodate two adults and three small children, offering a children’s sleeping area with a bunk bed, a nest bed and its own TV. Resort activities also include gym sessions, tennis, spinning, yoga, and spa treatments. The top choice by brides for their wedding ceremony is the picture-perfect rustic wooden beach terrace with a grass roof gazebo for the wedding party. Thinking of getting married in Puerto Vallarta? Contact us to start your trip! 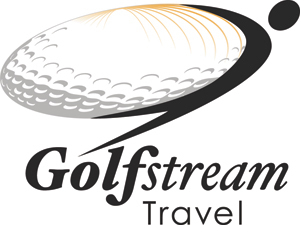 Golf Stream Travel will help you plan your trip to Puerto Vallarta.